One of my favourite topics is on retirement planning. Recently, a lot of people came to me asking for tips, strategies on how they can save money for their retirement. During my early years as a financial consultant, I always advise my clients of the importance and advantages of saving money EARLY for their retirement. Yet at times, I myself faced challenges when I wanted to save money. I came out with lots of “EXCUSES”! “Alah… Wait lah… Im still young. YOLO!!!! Yet deep down in my heart, I know that the best time for me to start saving money for my retirement is when I step into the workforce. This is because, at that point of time, we DO NOT have high money commitments. We don’t have a wife to give nafkah. We don’t have children to provide for their daily living expenses. We don’t have a house to pay for monthly mortgages. The facts and figures are as clear as daylight. If you want to retire comfortably in the future. As you know, I struggled to save money during my early 20s. Yet. My SAVINGS account is more like a TRANSIT account. The money rarely stayed at one place. And it seldom remained in the account. How many of you are like that? Man… The feeling was bitter. Every 13th of the month, at 12am, my salary would be credited. By 11pm, the same day, 3/4 of my salary was gone to pay bills. I told myself back then. “I want to be a MONEY MAGNET! I followed proven systems that many successful people had followed. You know some of those concepts. Coupled with my 3 year knowledge Diploma In Accountancy from Ngee Ann Polytechnic, I began to develop the right mix. The right recipe. The right formulas. It’s a bit like cooking Sambal Udang. You need to find the right balance. The right amount of cili kering (dried chillies). Everything in the right proportion. Stick with it. Follow the system closely. Repeat the process again. Again. And all over again. Till you reach your retirement objective. Simple yet sometimes, difficult to follow. Yes. If you have been trying to save money, and failed numerous times. Let me tell you 1 thing. We are human beings. We have our own DNA. We have our strengths. And we have our limitations. So the key here is for you to personalise your plan. This is HOW I PERSONALISED my retirement plan. As a Muslim, I know that Allah S.W.T. determines my rezeki. Everything that I do, can only happen with Allah’s will. Thus I made a decision, that whatever financial strategy that I am going to do. I am going to do it the shariah compliant way. The Halal way in Singapore. Because at the end of the day, its not all about strategies. Its about baraqah. Its about seeking redha from Allah S.W.T. I set myself to pursue knowledge to COMBINE the best financial planning practices in the conventional world and the Islamic Finance world. One of the most important rule when it comes to savings for your retirement the Halal way in Singapore is that you must be CONSISTENT. In Arabic, we call it Istiqamah. I remember the story of “Rabbit and Tortoise”, that my teacher shared with me when I was in primary school. You know the OVERCONFIDENT rabbit that lost the race to the tortoise. The overconfident rabbit slept halfway, thinking he was fast. He was quick. He was agile. The slow tortoise will lose to him. But lo and behold, the slow tortoise won the race because the slow tortoise was CONSISTENT. What I learnt from this story is that you can be the best financial wizard in the world. You can have the best retirement strategies in place. Yet, if you are not CONSISTENT in applying them. Having enough money for your retirement will remain a far-fetched dream. At first they get excited with the idea of retirement planning. But when they realize that it requires work, they feel let down. Every other day, I have strangers asking my opinions on the latest get rich quick schemes. Some asked for my opinion. Some asked for my endorsement. I disappointed them by telling them in the face that there is no elevator to success. You have to climb up the stairs. Man jadda wajada, Siapa berusaha, dia dapat. and when it comes to savings for retirement. You have to CONSISTENTLY set aside a monthly amount for your retirement. Don’t touch that money. Don’t stop. Because once you stop, you lose your momentum. And it will be difficult for you to start again. Along the way, we may face challenges. I always share with my clients. You draw a straight line on a piece of paper. It may look straight in your eyes. But how confident are you that, the straight line that you draw is really straight? In life, you need to be flexible. I love this quote by Confucius. People who hustle and make things happen on the ground. They devote their entire life perfecting their craft. Be humble. Seek help from these people. These people know the tricks of the trade. And most importantly, they do it the legal way. In short, we call them street smart. If someone is doing better than you, its because they know something you don’t. Be flexible. Model a proven winner. Copy someone who is making a mint right now. If things don’t work for you, don’t shift your goals. Adjust. We are lucky to be Muslims. Because as Muslims, we believe in Allah S.W.T. Whenever we face problems and challenges. Don’t place everything on our shoulders. Setiap kesusahan, pasti ada kesenangan. As Muslims, our 6th pillars of Iman is Qada and Qadar. My mentor always reminds me of Qada and Qadar. Qada is ketentuan from Allah S.W.T. Sunatullah that Allah S.W.T. has set. Example, for rainy days, one of the signs is that the sky turns dark. Cloudy. And rain falls from the sky. Not from the surface of the earth. If rain falls, we cannot stop that. However, we can AVOID ourselves from GETTING WET. By opening an umbrella. Open and walk under that umbrella! That Umbrella is Qadar. Which is our effort. We cannot stop the rain (Qada) yet we can avoid getting wet by using an umbrella (Qadar). Don’ be disheartened when you stumble and fall down while working towards your financial objectives. Dust yourself up, stand and continue working towards your goals. 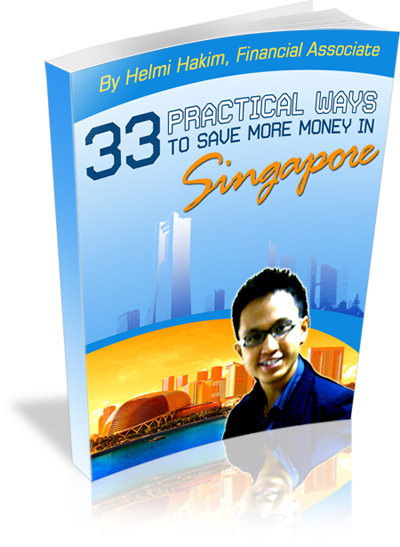 Now… I hope you have benefited from my sharing on 5 Most Important Rules To Halal Savings For Your Retirement in Singapore. save, accumulate and grow your money the shariah compliant way in Singapore, I am always ready to help you. You will want to schedule it asap because I can only accommodate 5 slots for this month.